Bondholder East Midlands Trains has unveiled a new booking system, aimed at small and medium sized businesses. 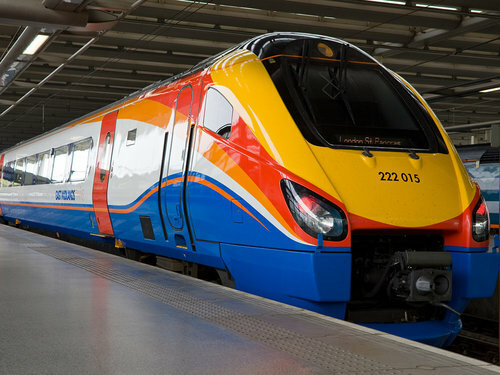 East Midlands Trains Business Travel offers an online portal allowing employees to quickly and easily book their own travel, but within the guidelines set by the business itself. It is aimed at businesses which don’t require full travel management services but would still like a simple and hassle free booking experience. The online system allows employees to set up individual profiles, book direct, and pay using their own card, or a single corporate payment card. The system can also book tickets for travel right across the country, not just with East Midlands Trains. In addition, businesses will receive a call every three months to make sure they’re happy with the system. Richard Clay, Head of Sales, East Midlands Trains, said: “Our new Business Travel system makes it much easier for small and medium sized businesses to travel for work. It’s like having a full travel agency at your fingertips but without the fees and costs which much larger businesses will pay. For more information about the booking system, please click here.